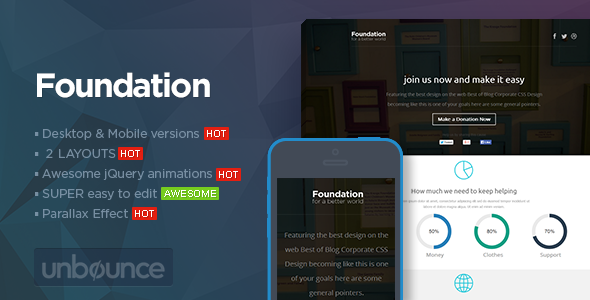 “Foundation” is an Non-Profit Landing page template for unbounce, include a lots of features, clean & modern design, you can make an awesome landing page for you Cause in minutes with a Form. Two version for each device. Item Reviewed: Non-Profit Organization Landing page template 9 out of 10 based on 10 ratings. 9 user reviews.